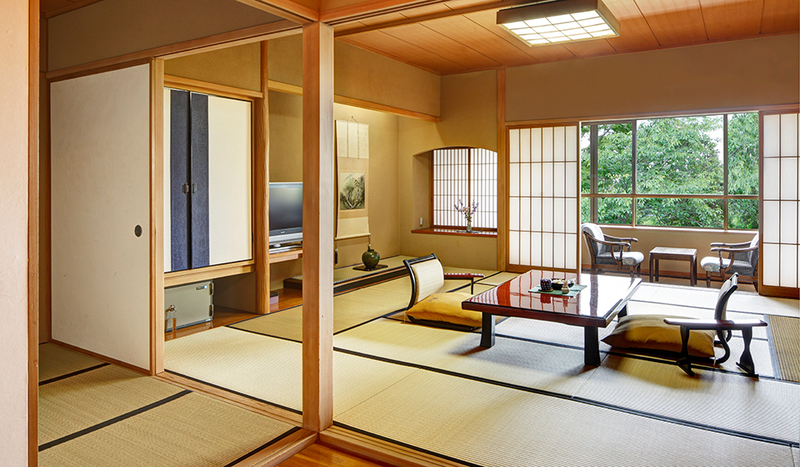 We offer aesthetic and traditional Japanese-style rooms. 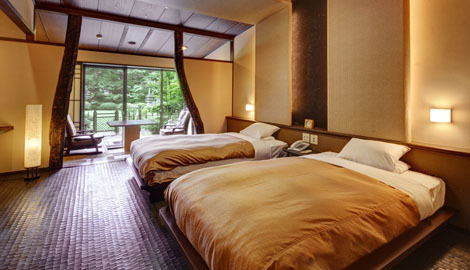 We also have room type that has private open air Onsen. 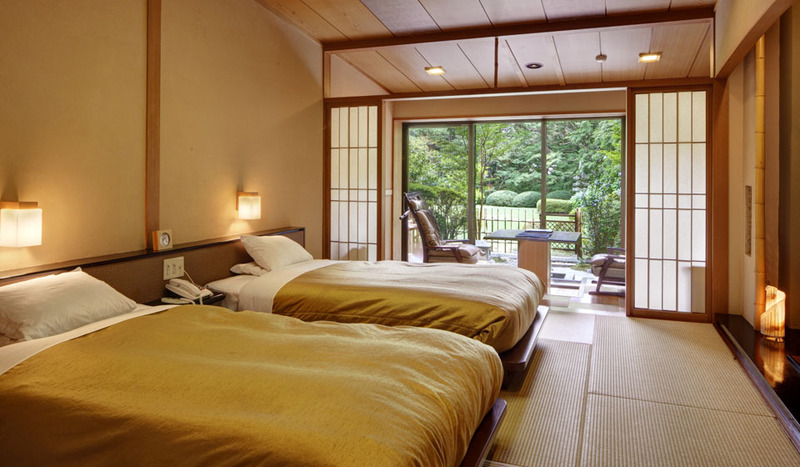 Beautiful Japanese-style garden spreads in front of or just below the room. 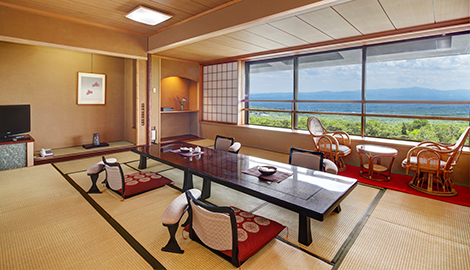 Dinner will be served in both own guest room, or in a communal dining area “Shiki-Tei” which has private compartment. 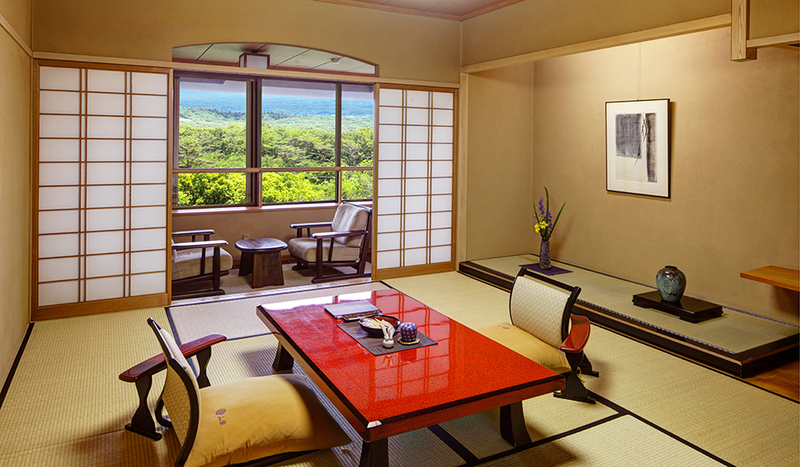 Japanese-style room with private open air Onsen. 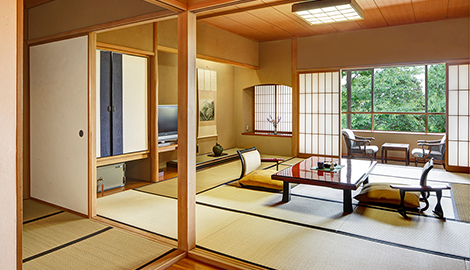 Tatami-room（16m2）/Hiroen(spacious inside veranda)/Bathroom , providing contemporary comfort for 2 adult. 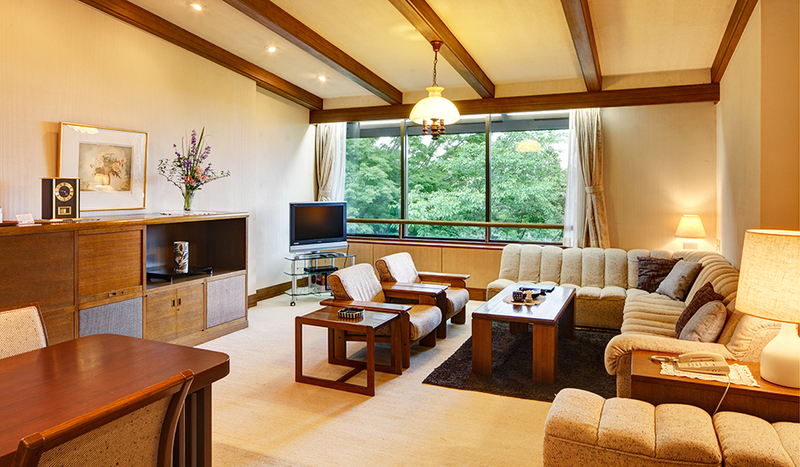 Tatami-room（16m2）/Hiroen(spacious inside veranda)/Bathroom , providing contemporary comfort for 2-4 Adults.  East wing has larger rooms and allowing us to promise you enough space for a comfortable, relaxing stay. 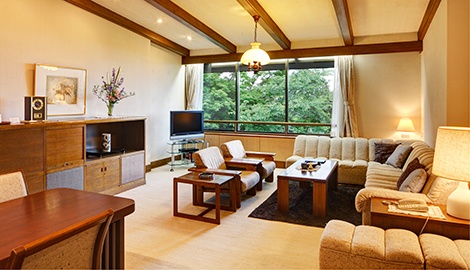 Living room（33m2）/Bed room（20m2）/Bathroom , providing contemporary comfort for 2 adult. Reservation for this room is telephone only. 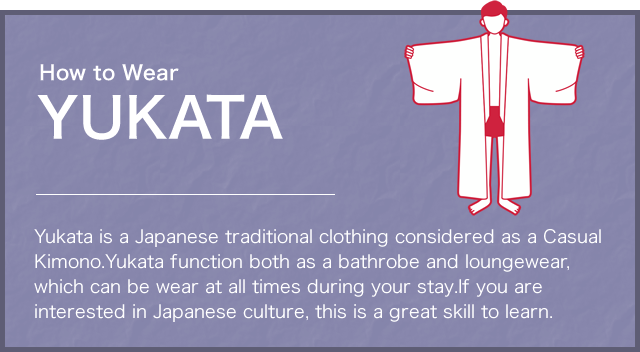 Tatami-room（16m2～21m2）/2nd Tatami-room（5m2～10m2）/Hiroen(spacious inside veranda)/Bathroom , providing contemporary comfort for 2-4 Adults. All toilet seat has bidet functions.